Draw in King vs Pawn Endgame? yes, this is perfectly right. 1.f4? would lead to a draw because the game ends in a stalemate (draw). 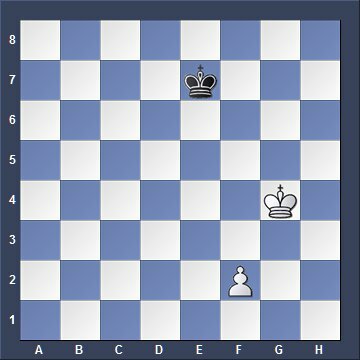 Black moves: after 1.f4? (see below) Black plays Kf6! and White lost the opposition which means he can't push the pawn through as a stalemate is the logical result. 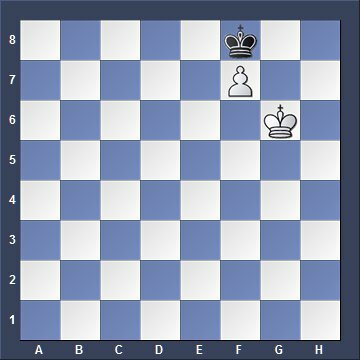 White must move now and he has only 1.Kf6, after that Black cannot make a legal move, so the game is a draw.